Travel. Fitness. And Everything in Between. English speaking staff – Breakfast included – Outdoor pool – Fitness Center – Private beach area – On-site Restaurant and bar – Flat-screen TV in all rooms – Each room has ensuite bathroom with bathrobes, toiletries, and hair dryer. Thanks for coming in! My name is Mick, Filipino-American based in Chicago currently hopping around in Southeast Asia. Things that I enjoy apart from traveling: jumping rope, jollibee, tennis, languages, asking people where they're from, and gorging on street food in Southeast Asia. Read more about my my most memorable travel experiences, favorite destinations, and other fun travel facts here! 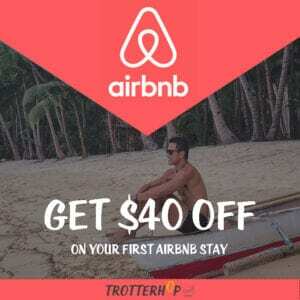 FREE TRAVEL CREDIT FROM AIRBNB! Get monthly post rounds ups!